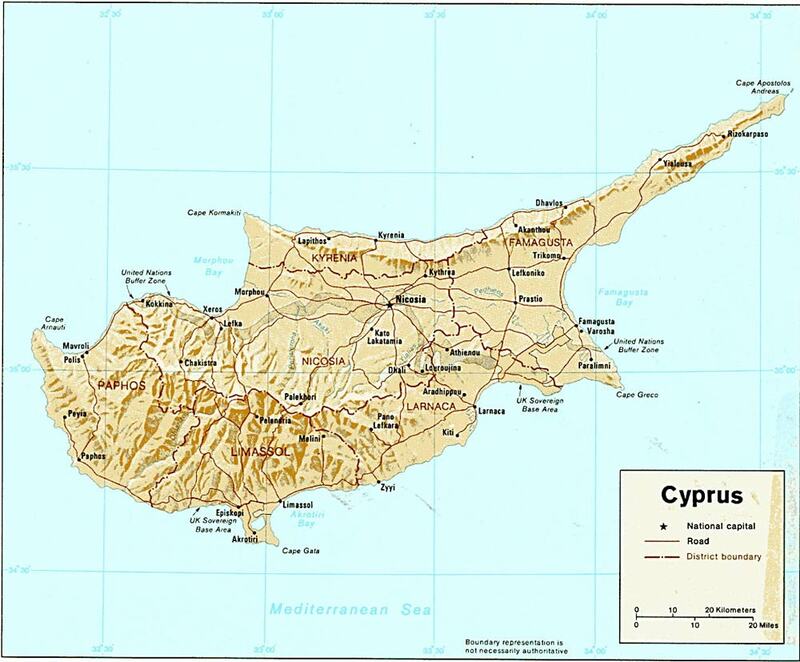 Cyprus - travel information. Cyprus country with a wonderful climate. Beautiful beaches, warm gentle Mediterranean Sea washes the resort. How to get to the island. 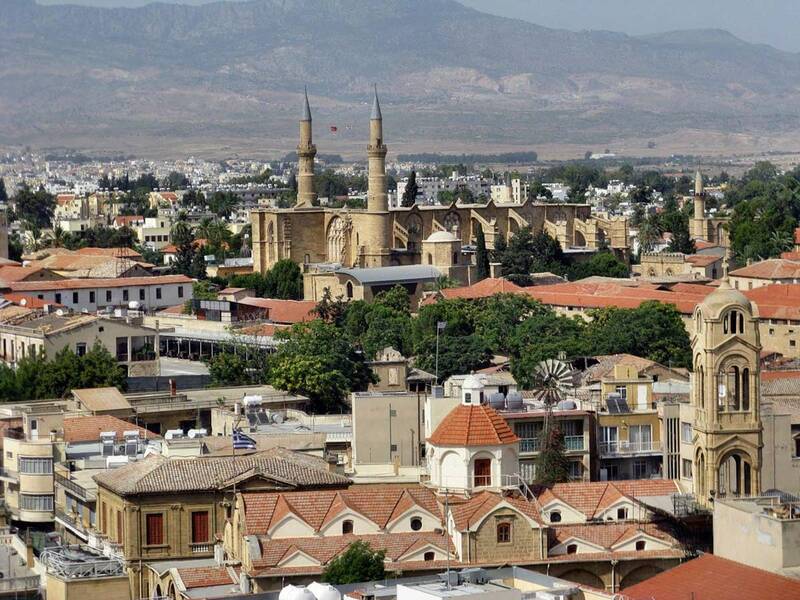 The capital of Cyprus is the island's largest city - Nicosia. The official languages ​​are Greek. English is widely used, which is the second official. The climate is subtropical Mediterranean. Hot Summer (+25–35°С), relative to mild rainy winters (+ 10–15°С). Annual precipitation increases from 300-500 mm in the plains and 1000-1300 mm in the mountains, where winter snow cover is formed in some places. Since January 2009, in the currency used by the euro. Banks are open for customer service from 8:00 to 12:30. Some banks in tourist areas are open in the afternoon. Currency exchange (cash, traveler's checks), Cyprus can be at any bank, which can be found on the sign «BANK». Credit Cards «VISA» are accepted at most banks in the Republic of Cyprus. Maps «AMERICAN EXPRESS» will not be accepted. Cypriots love feasts and festivities and celebrate them with great solemnity. In the villages, preserved many ancient customs and rituals, especially careful to follow during the celebration of Christmas, New Year, Epiphany - Three Wise Men of the holiday, Easter. March 25 - Anniversary of the Greek national liberation revolution in 1821. April 1 - The Day the start of the national liberation struggle against the British colonialists in 1955. May 1 - Spring and Labor Day. October 1 - Independence Day. October 28 - Day of "Ochi". 240 V, 50 Hz outlet trehshtyrkovye. Adapters are needed. Most hotels can take the adapter, leaving the mortgage, or buy it at any store for 2-3 euros. Open from May to September: 8:00-13:00 and 16:00-19:00, hours of operation from October to April: 8:00-13:00 and 14:30-18:00. Shops are closed on Sundays and on Wednesdays and Saturdays in the afternoon. In tourist areas, almost all shops operate without interruption. Having been on any of the resorts in Cyprus, will want to take with them a piece of this place, full of warmth and a unique history of this beautiful island. You can buy traditional products on any of the streets, where there are souvenir shops and street markets. Lefkaritika - Two-way hand-embroidered with traditional geometric designs from the village of Lefkara. Sometimes only three colors: white, ecru color and pistachio. Napkins and tablecloths from the Lefkara will be a great gift, brought from Cyprus. Commandaria - Thick, sweet dessert wine. The best sort of - «St.John» with a black label. Snacks. Dolmades (dolmades) - rice with minced meat, fried in olive oil with herbs and wrapped in grape leaves. Feta (fetta) - solid white cheese made from sheep's or goat's milk and Halloumi luntza (halloumi & lountza) - Cypriot cheese with ham. Lukanika (loukanica) - acute sausages. Taramosalata (taramosalata) - from cod roe sauce and mashed potatoes. The main dishes. Aphelion (afelia) - pork cooked in wine and herbs. Kleftiko (kleftiko) - lamb, baked in clay oven. The cheapest form of transport - buses. 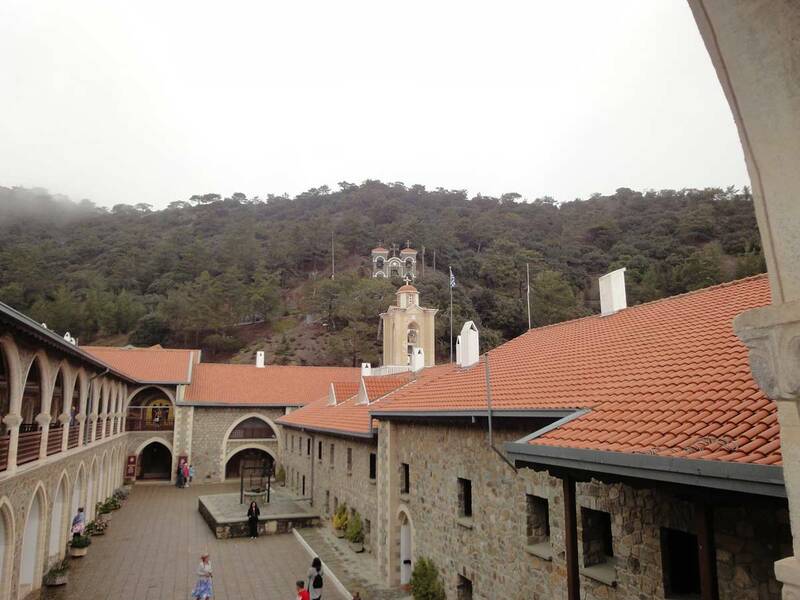 They bind as the center of the resort with any tourist area, and all the major cities of Cyprus. Between the villages once - twice a day cruising the rural bus services. The most popular form of transport taxis. Urban taxis can be ordered by phone, reception, or at the base taxi. Full fare consists of an initial tariff, fees and mileage fees for each piece of baggage weighing over 12 kg. Additional fees are charged in the Christmas, New Year, Easter. When visiting monasteries, churches and mosques, women need to change the pants and skirts to cover her shoulders, and men always wear long pants. It is forbidden to photograph military installations in Cyprus. Do not climb archaeological treasures from the seabed or the removal thereof from a holiday in Cyprus, without the express permission of the competent authorities. Visitors in Cyprus must respect the religious traditions. Customs of the inhabitants of Cyprus are quite conservative. Residents of Cyprus business-like and cheerful, hardworking and they know a lot of rest. In Cyprus, there is a time of afternoon leisure - siesta (from 14.00 to 17.00) during which many schools do not work. Paphos (Greek Πάφος, tour. Baf) - a town in south-western part of the island of Cyprus. 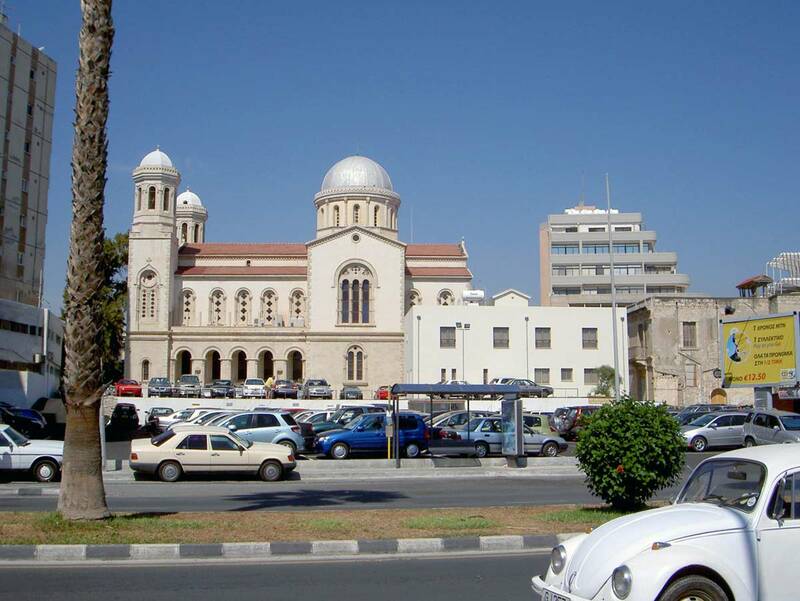 Administratively the city is the center of the same area (one of 6 regions of the Republic of Cyprus). The city is divided into two parts - Kato Paphos (Lower Paphos) and Pano Paphos (Upper Paphos). The upper city is called Ktima - is, in fact, the city center, where most of the administrative buildings of the city. Lower Town (Kato Pafos) stretches along the coast, there are most of the attractions, hotels, lots of souvenir shops, bars, restaurants and discos. 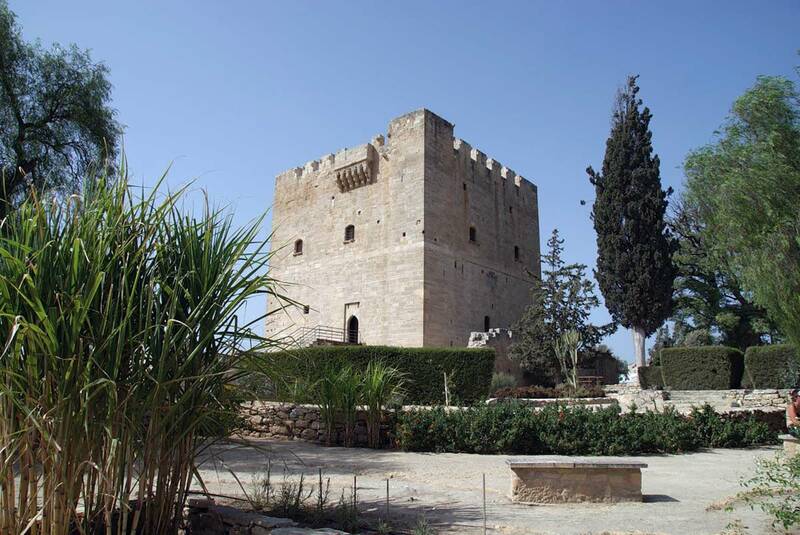 In Paphos, tourists will certainly show the tower of the church of Ayia Kyriaki, where the apostle Paul was flogged. Locals claim that the flagellation going on tombstone, but the column is revered as miraculous: touching it, you need to make a wish, and it must be fulfilled. After the fall of the Roman Empire, the island has long remained a province of the Byzantine Empire and its rulers have changed almost by accident. At the end of XII century English king Richard the Lionheart led another expedition to the Holy Land. Along with him to Palestine, sailed his bride - Princess Berengaria of Navarre. Near the Cyprus fleet of the Crusaders swept a storm and the ship, on-uring was Berengaria, washed ashore near Limassol. The then governor of Cyprus, a relative of the Byzantine Emperor Isaac Comnenus had tried to capture the entire team, along with the princess. But fortunately, in time came to the rescue Richard routed the Byzantines. The castle of Limassol happy bride and groom celebrated their wedding at once. Incidentally, in the history of this was the first and only case in which the King of England married outside the country. During the wedding table wine of Cyprus flowed freely, and the brave Lionheart did not survive. "I do not have to visit the island again. At least to try again The local wine "- said the king, and decisively with his unpredictability of 40,000 sold Besant Cyprus Knights Templar Order. A year later, the Templars, for the same Besant gave the island a French knight, Guy de Lusignan - King of Jerusalem, bereft of possessions. Three hundred years ruled the island kings Crusaders until 1489 Katharina Korn-ro, widow of the late King of Cyprus, not abdicated in favor of their country of Venice. Even after 100 years of the Venetians on the island of Turks have changed. In 1878 the Turkish sultan, whose country was on the verge of ruin, the island passed under the protectorate of Great Britain. It was only in 1960 Cyprus finally gained a long-awaited independence. Cyprus has 330 sunny days a year. This spring, as this autumn, lasting no longer than six weeks. Since early April the weather becomes summer. Summer temperatures average around 35 degrees on the coast and even higher in the interior, near Nicosia. The most "cool" place on the island - the west coast around Paphos, where the temperature by 4-5 degrees lower than in Larnaca and Limassol. The best time to travel to Cyprus, of course, in April or late October - early November. Almost throughout the year, you can swim, the water temperature rarely drops below 20 degrees. From April to October - the warm season. Warm clothing may be needed only during your excursions to the mountains. A beautiful Cyprus at any time of year. In December, there are blooming anemones and fall from the branches of ripe oranges, in January, the hillsides are covered with pink clouds of almond trees and the stars white daffodils. In spring the island is painted in sunny colors of mimosa in the summer is rosy on the oleanders. After the first autumn rains, he again dissolved in spring, covered with soft carpet of purple and yellow daisies cyclamen. When we met for the first baby of our journey, the problem of choosing the route for the rest decided fairly quickly. 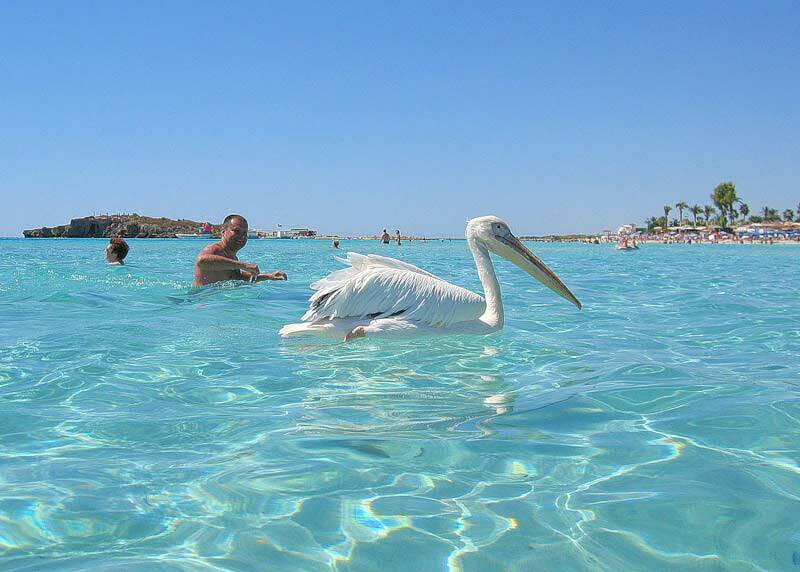 We chose a fabulously sunny and beautiful island - Cyprus. Why did we make this choice? This, as well as how to organize a children's holiday to travel abroad was with the maximum comfort, and I want to tell in this article. Cyprus,Travel. Cyprus holidays. 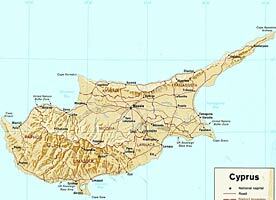 Cyprus - travel information. Cyprus holiday in Cyprus with the children.